Click on "Bonnie and Clyde vs Dracula" to visit the film's website. 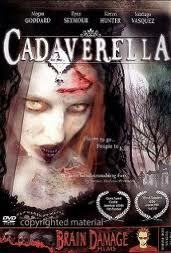 Click on "Cadaverella" to visit the film's website. Click on "What Kids Love and Hate about School" to view an excerpt from the film. What Kids Love and Hate about School is a 22-minute documentary short film created using digital video interview footage conducted with 145 students in three urban elementary schools in the Midwest. This documentary short film provides the unique opportunity for teachers, school and district administrators, higher education faculty, and other educational stakeholders to connect the diverse experiences communicated through the voices of students to educational practices.